From all large facility companies in Europe, United is the first with its own camjo-department: Cam-Joe. And the demand for this kind of service is enormous! ‘We just need someone that films a small interview, asks two or three questions and edits that into one item’. These demands from the market seem a trend and United is responding to this with the department Cam-Joe. United is used to working with an experienced and professional crew and high-end equipment. You might not expect it but camjo, or camera journalism, fits this picture perfectly. The quality of the type of cameras used, has significantly improved. Together with a crew that is trained within United College and TV Academy, we have a success formula for the creation of short, simple items. The price-quality ratio of Cam-Joe is namely very interesting. 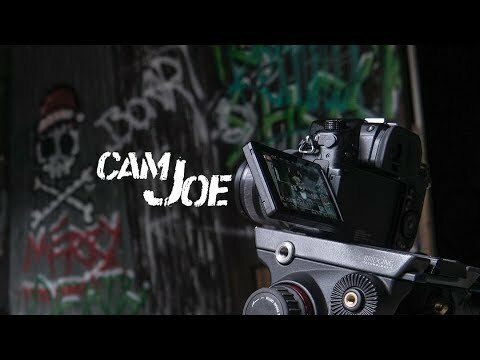 The camjos from Cam-Joe have a standard equipment: a full-frame DSLR- or HDV camera that can also record slow motion and HD, a mini sound recorder for on the camera, a stand, a light and of course a laptop with Adobe Première for the editing. With one of the cars from United they will be on the road in no time. It would not be fair to compare the result of Cam-Joe with that of a very experienced cameraman with a professional camera. Or an editor with twenty years of experience. But this is not necessary at all for short items. Of course Cam-Joe provides quality worthy to United. Therefore, we only deploy young, qualified people who are employed by us. For many clients, such as NOS, RTL, Veronica and 101TV, Cam-Joe appears to be a good addition. A Camjo is also very suitable for production of commercials. From short launches that are used in programs like Summertime or RTL Late Night, to beautiful shots of the environment to lift an ENG production to a higher level. Plus, Cam-Joe is perfectly suited to use for corporate promotional films. We do this, among others, for LINDA.TV, Verizon and KPN.